The news came after an urgent meeting called this morning to discuss the issue of the seastead south of Phuket that the Royal Thai Navy has now filed a criminal complaint against, and is moving to have destroyed. Phuket Governor Phakaphong Tavipatana initially ejected reporters from the meeting, attended by Vice Governor Supoj Rotreuang Na Nongkhai along with officers from the Phuket Provincial Police, Phuket Marine Office, Phuket Immigration Police, the Royal Thai Army, and the Phuket Public Prosecutor’s Office, among others. The meeting began with images showing the construction of the seastead in question. However, Phuket Governor Phakaphong soon interjected, saying, “Today we will talk about the seastead with officials. “I order every official in the room that all questions and information must be passed through Vice Governor Supoj only because I want all information (to the public) to be accurate, with no misunderstandings. “It is a sensitive case involving international people (sic),” he said. The section concerns any acts that cause the country or parts of it to fall under the sovereignty of a foreign state or deterioration of the state’s independence. It is punishable by death or life imprisonment. As of this morning, Mr Elwartowski is a fugitive of Thailand while Ms Supranee remains wanted by police. “Mr Chad’s visa has now been revoked. His actions have impacted the nation. His name has been added to the immigration blacklist, he is banned from staying in or re-entering Thailand,” Phuket Immigration Chief Lt Col Kathatorn Kumthien told The Phuket News. “His right to stay at in the Kingdom of Thailand has ended,” Col Kathatorn said. “We believe he is still in Phuket. I am searching for him to talk with him and to enforce to law,” Col Kathatorn added. Provincial Police Deputy Commander Col Witoon Kongsudjai confirmed to The Phuket News, “Right now we are preparing to get evidence against the entities responsible for building the seastead. Immigration have already been to the house where Mr Chad was registered as living – but both he and Ms Supranee were not at home. “We are continuing our search for the couple,” he added. 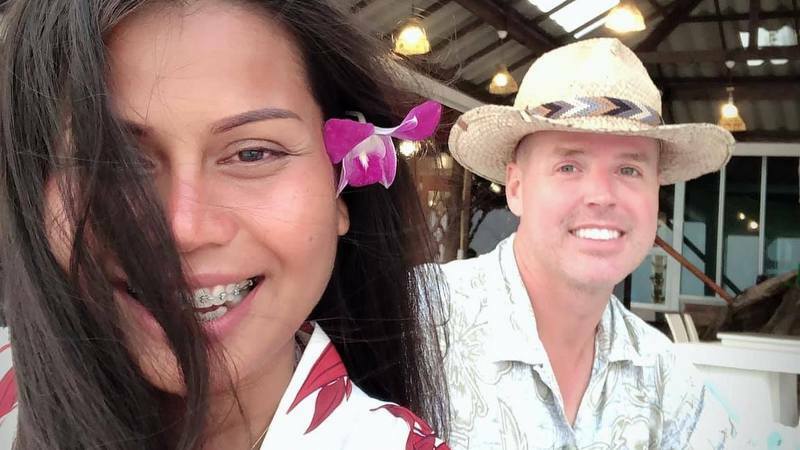 The move to hunt down the couple follows posts on the website for Ocean Builders, which operates the project to build the seastead, criticising Thailand and its current leaders for being a “dictatorship” and a tyranny”. “Chad and Nadia are safe for now but understand that Thailand is currently being run by a military dictator. There will be no trial if they are caught. They already demonstrated that by being judge jury and executioner of the historic very first seastead,” a post uploaded to the website over the weekend says. “It has been reported that the first seastead, XLII, has been or is in the process of being demolished by the Thai navy. It is also being reported that our first residents, Chad Elwartowski and Nadia Summergirl (SM Supranee) are being held responsible for building the seastead and putting it in its current location. “Nothing could be further from the truth. Chad and Nadia were volunteers excited about the prospect of living free. They took pictures and videos of the whole process and posted it on social media. They spent a few weeks on the seastead and documented their adventure. "The team surrounding the project were early adopters of bitcoin, and with wealth acquired that way it has spent around $150,000 on the project "